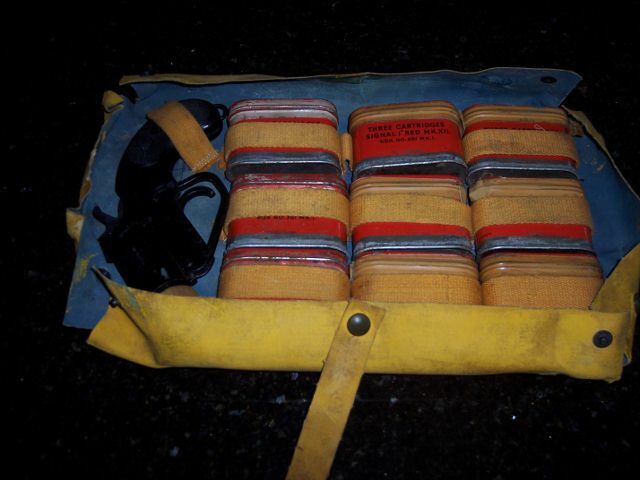 Over the years the blog has covered both the 1.5” flare pistol and its associated tins for the flare cartridges themselves. 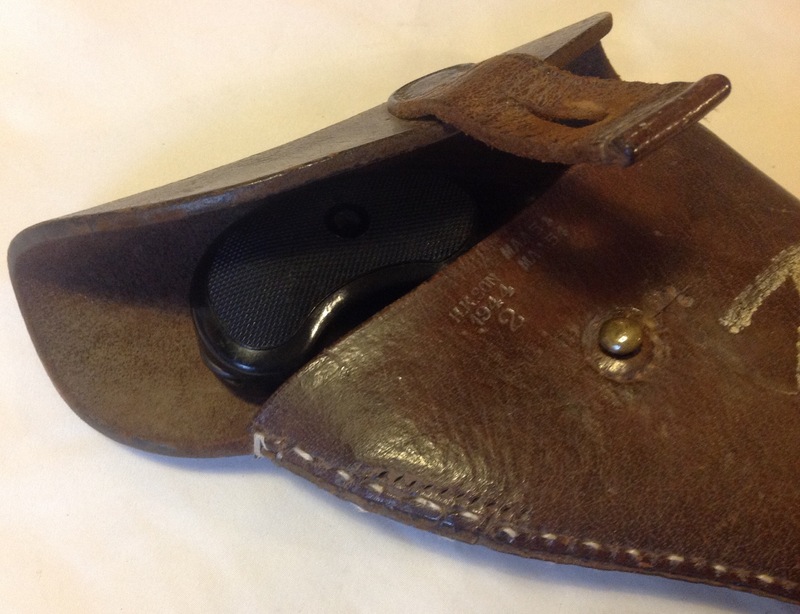 Tonight we are looking at a small pouch that was used to carry the tins of flare cartridges as part of a holster and strap webbing system: The webbing flare pistol holster was less common that the leather one, but did see plenty of service. 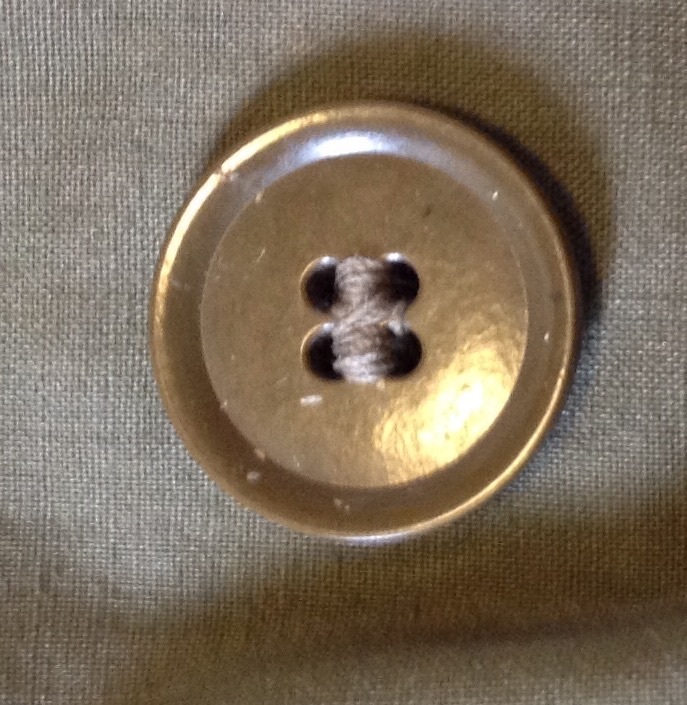 Whilst it could be worn on a belt, it was more common for it to be slung with a shoulder strap. 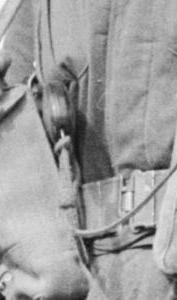 Sewn to this shoulder strap was our little pouch, and a look at the rear shows a darker patch of webbing where the strap was originally attached: The pouch secures with a single strap and a brass Twigg buckle: Inside it is sized neatly to hold the metal tin containing three flares: This storage method is far safer than placing the tin or individual flares in a pocket and ensures that a flare pistol always has at least three rounds with it, even if the holster is passed to someone new. 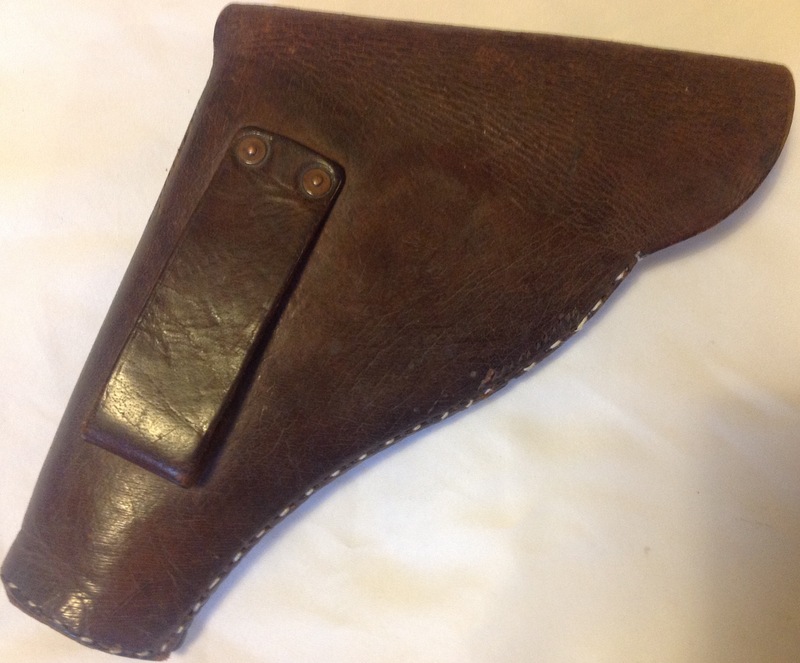 I am still trying to find any useable photographs of one of these pouches actually sewn to a strap- if it is indeed just a standard 37 pattern shoulder brace then it should not be too difficult to sew it back onto a strap and return it to its former glory. 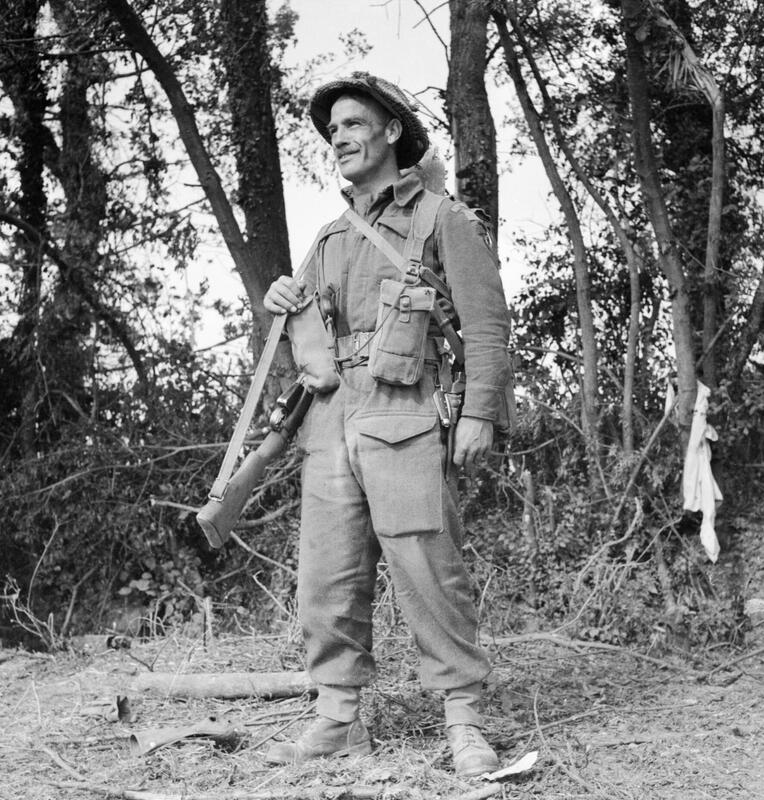 This entry was posted in British Army, Flare Pistol, Webbing, WW2 on July 20, 2018 by hatchfive. 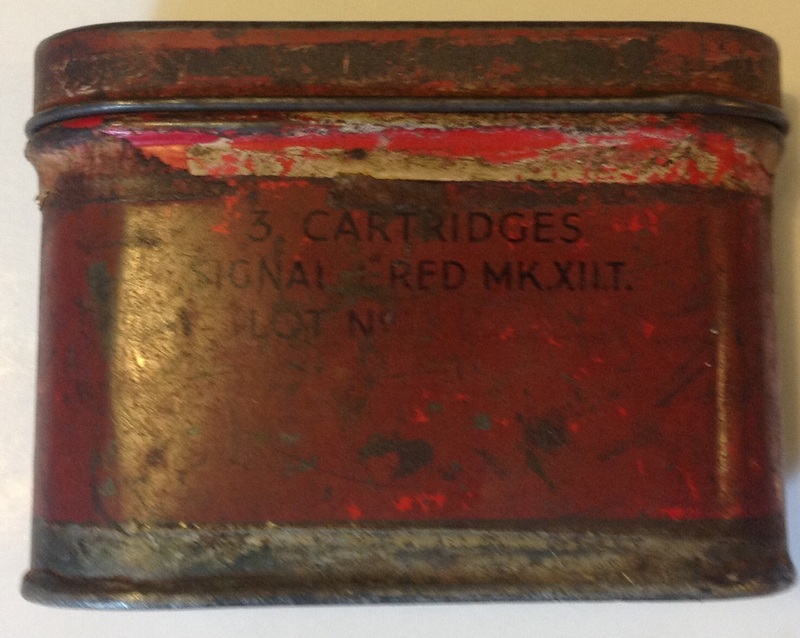 A couple of years ago we looked at the red RAF 1 inch flare tin here. 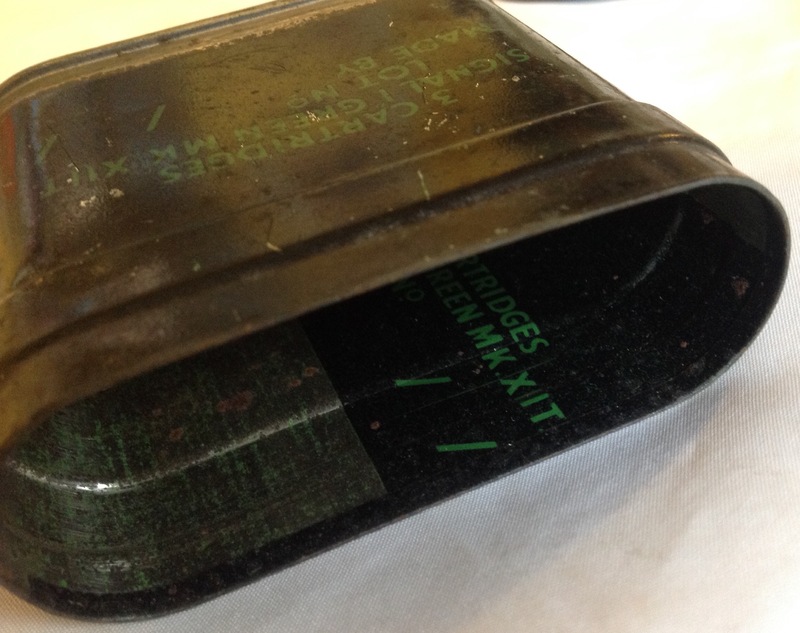 Tonight, thanks to my good friend Andy Dixon, we are going to look at the scarcer army flare tin in black: Dimensionally this tin is identical to the RAF version, with a removable lid and space for three flares. 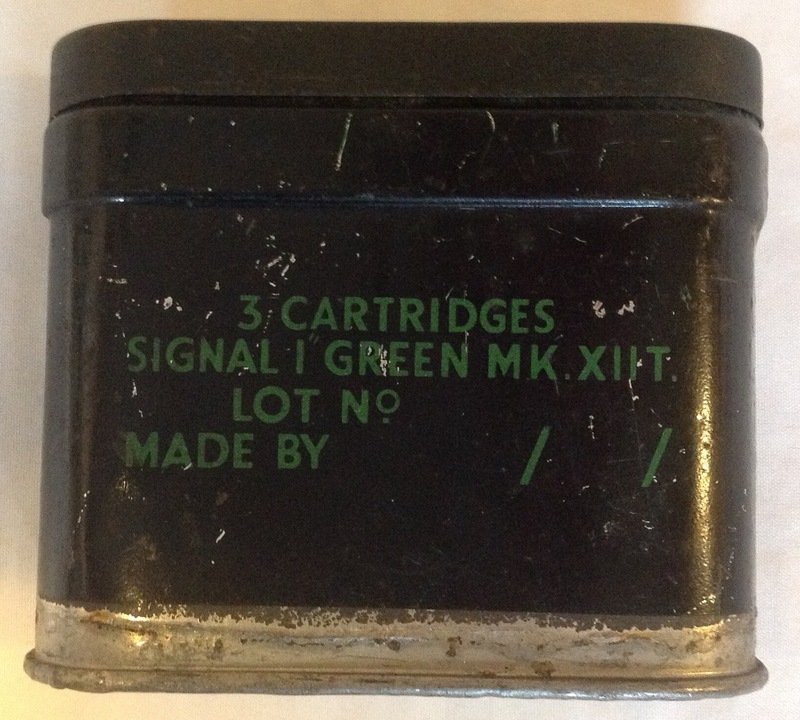 The front of the tin has the contents printed on it, indicating that this tin would hold 3 green signal cartridges: Interestingly the same information is printed on the inside of the tin. 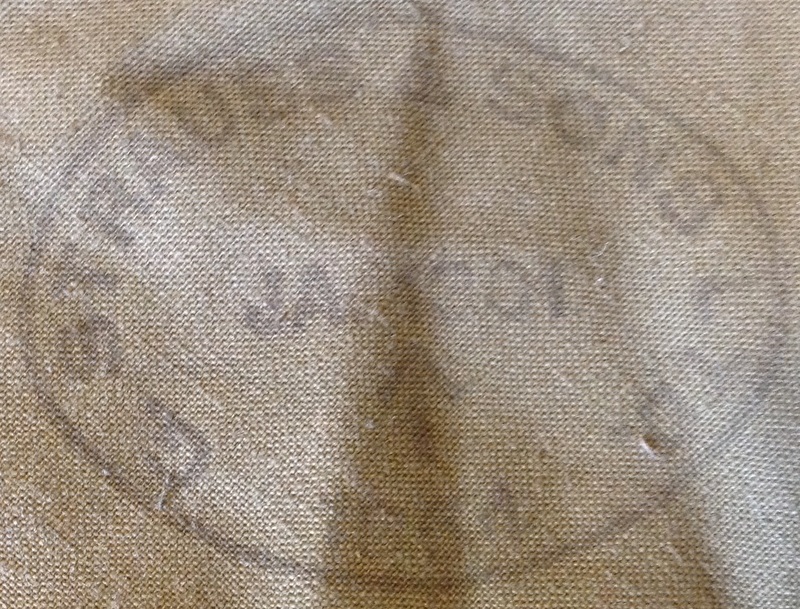 Presumably the Metal Box Company, who manufactured this tin, sometimes printed the same design on both sides of a sheet of tin before assembly: The side of the tin has a date of manufacture, June 1944 and the factory code ‘12MB’: The opposite side of the tin has a run of solder down it where the box was assembled: The lid is a single pressed piece of tin, with an embossed triangle on it to indicate by touch that the contents are green flares, essential for use at night where it could be crucial that the right colour is selected: The lid would have been secured with a strip of bitumous tape to keep moisture out- this was simply peeled off when the user need to get a cartridge out to fire. For some reason the black tins seem to be rarer than the red examples and wartime dated ones are harder to find than post war versions so this is a nice addition to my little flare pistol collection. This entry was posted in equipment, Flare Pistol, WW2 on March 4, 2017 by hatchfive. 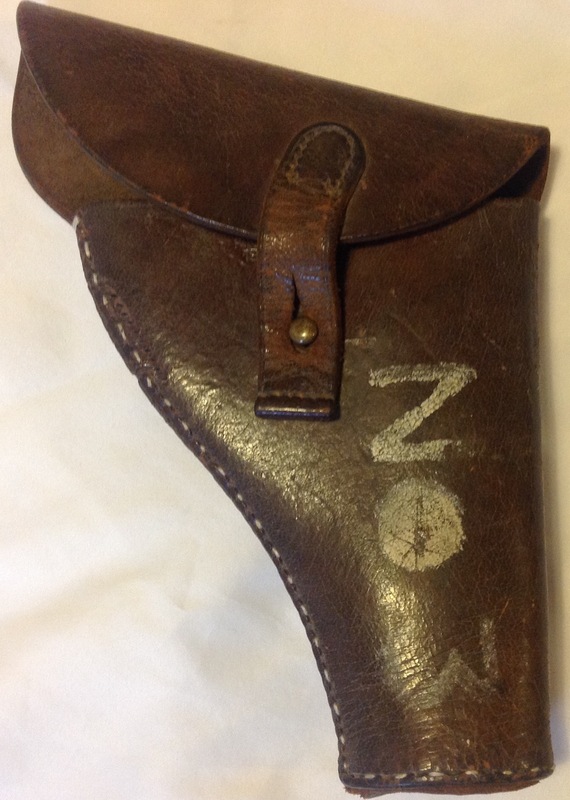 This entry was posted in British Army, equipment, Flare Pistol, WW2 on April 20, 2016 by hatchfive. Engine trouble caused the bomber to turn back from a raid on Germany. The pilot hoped to reach the English Coast, but was forced to come down in the sea. 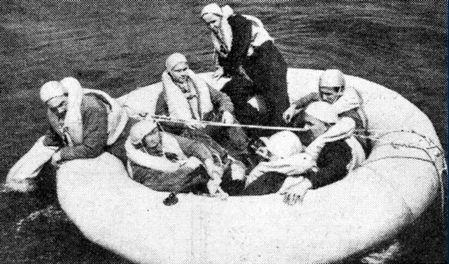 He said: When the bomber hit the water the dinghy was automatically released and the crew got out on to the wing and clambered into it. The bomber sank. We thought that we were only about 12 or 20 miles out from the English coast. Actually we were much farther out, and in a minefield! If we had known that, I don’t think we should have been quite as happy as we were. We arranged ourselves in the dinghy as comfortably as possible and just sat there waiting for something to turn up. The wireless operator had sent out an SOS, but it was not received. All we had in the way of signalling equipment were two distress flares. We had no compass. We had a few boiled sweets, a tin of food tablets, a few ounces of concentrated chocolate, about a pint of water and a small bottle of rum. We thought it would be only a few hours before we were picked up. About half an hour later a bomber passed overhead on its way back to England. We tried to attract attention but the distress flare failed to work. Luckily these men were eventually rescued, eight days after being shot down. When they worked the red flares would arch high into the sky and the bright light would be visible for miles. 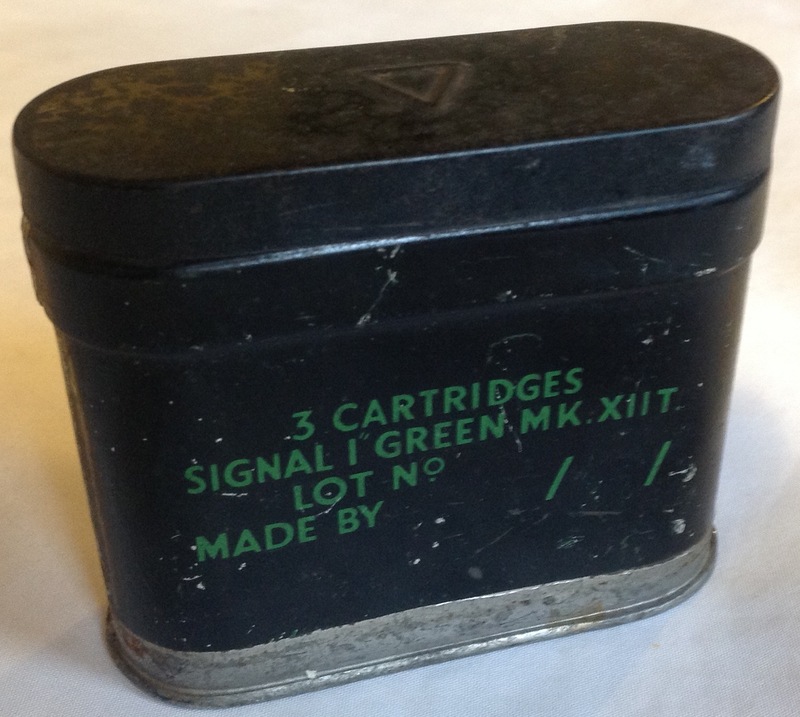 The tins were issued in waterproof packets of nine tins with a matching flare pistol: These tins were also produced for the army to use with their flare pistols, but these were black rather than red. This tin makes a very nice accompaniment to my flare pistol: I am now on the lookout for three deactivated 1” flares to fill it with, but these seem far harder to find than the tins. This entry was posted in Flare Pistol, Latest Pick Ups, Royal Air Force on September 3, 2015 by hatchfive. 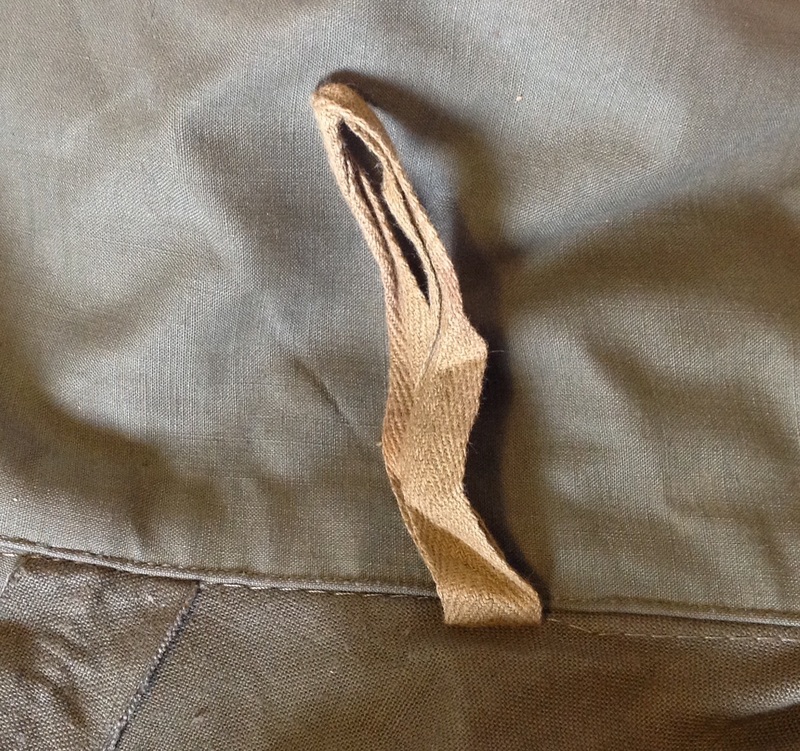 When the 1944 pattern Jungle Webbing and associated equipment was introduced the pre-existing rubberised poncho was retained; changing colour from tan to dark green. 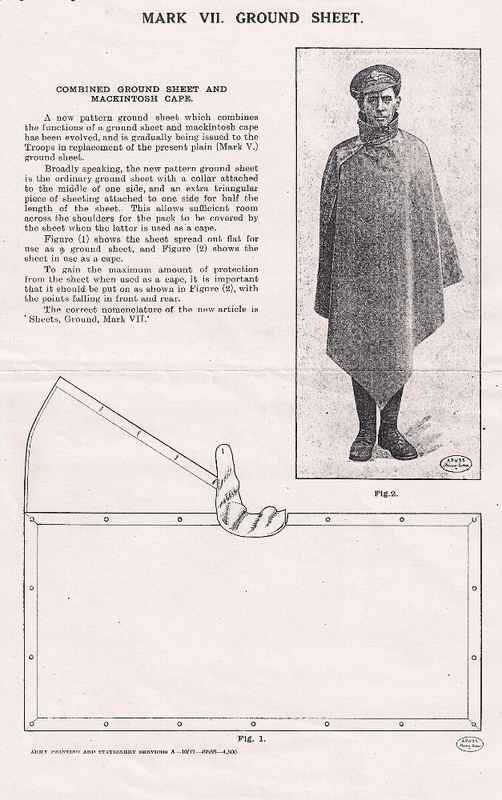 The poncho had been introduced in World War One as the Sheets, Ground, MkVII, the illustration below was published at the time of its introduction: My example is from nearly half a century later, but in form is virtually identical: The fabric is a heavy cotton canvas, prepared with a rubberised finish to make it waterproof (with resultant rubbery smell). 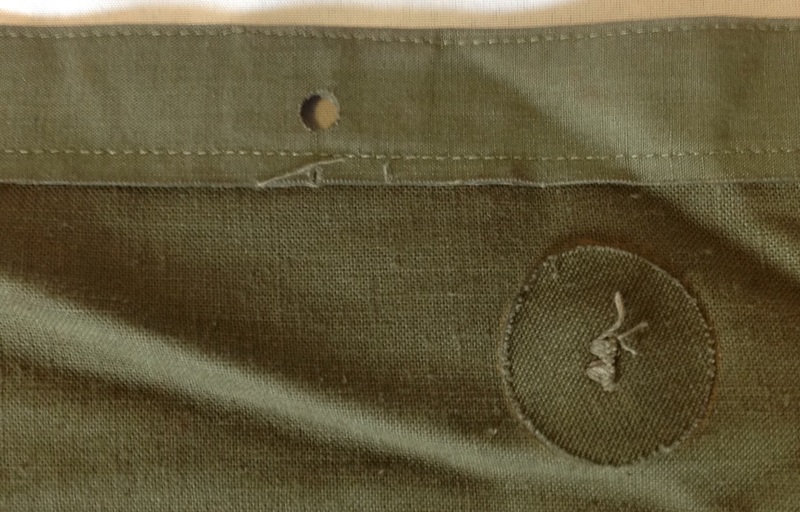 The cape has a row of plastic buttons down one edge: These are reinforced on the rear to prevent the material being torn: Note the holes along the edge, these allow two ponchos to be tied together to make a crude shelter. 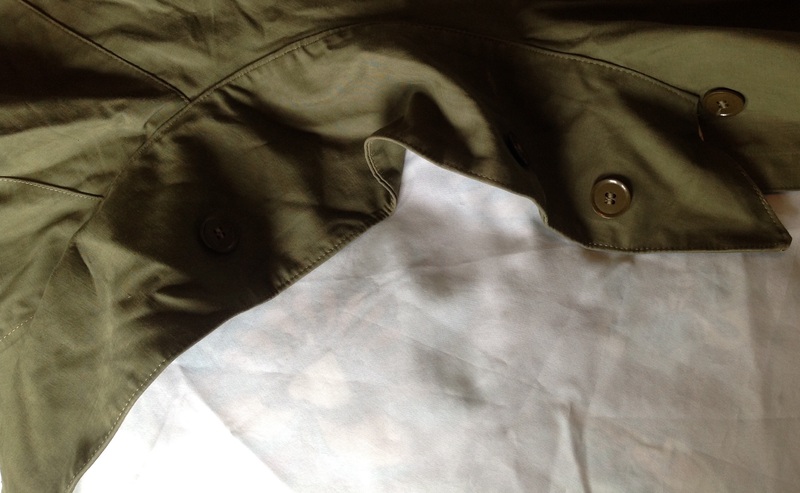 At the ‘neck’ is a cotton tape to allow the poncho to be hung up to dry: The collar has a button and strip of fabric for fastening: These allow the collar to be drawn high enough to protect the back of the neck from rain: This cape has a manufacturer’s mark indicating it was made in 1954 by Strauss and Sons: The 1944 pattern haversack, introduced alongside the green poncho, had a pair of straps at its base that allowed a rolled poncho to be carried safely and still be easily accessible to put on in case of a sudden monsoon rain storm. These capes were practical, but heavy and hot. 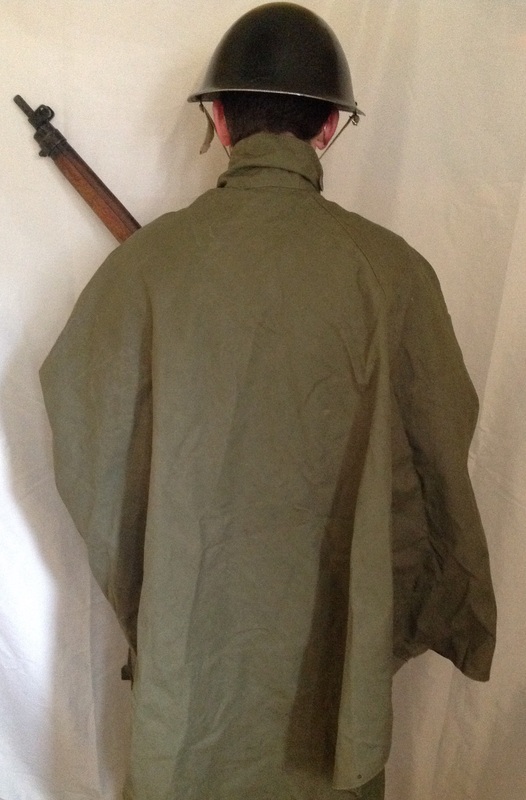 They were dropped by the British Army in the 60s and 70s in favour of nylon ponchos, but remained in use as ground sheets for shooting ranges and the like where soldiers needed to lie on wet ground. I bought a couple of these six or seven years ago when dealers couldn’t seem to give them away (mine cost £5 each). Since then they seem to have shot up in price and are now fetching £25 or more each. 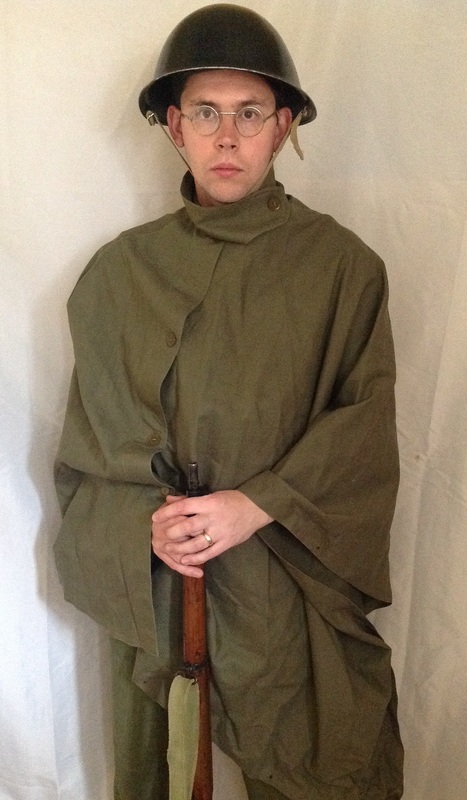 This entry was posted in British Army, Flare Pistol, Jungle, Post WW2 on May 20, 2015 by hatchfive. Tonight we are looking at a pair of used flare pistol cartridges. 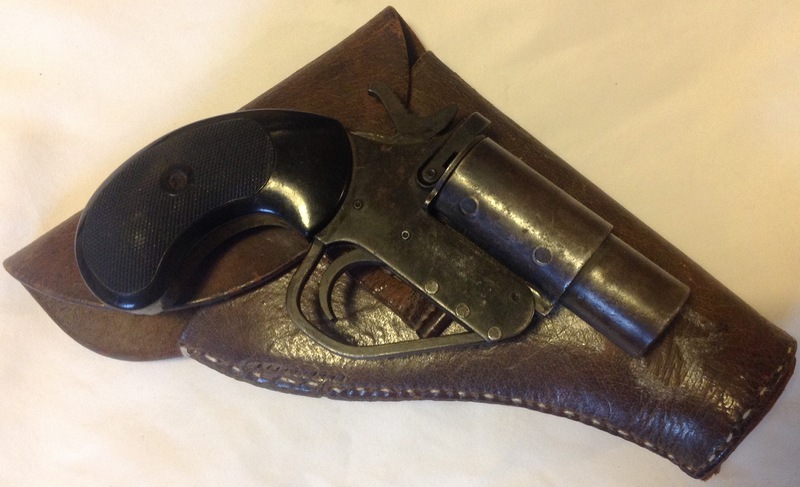 Flare pistols were used for signalling, illumination at night or distress flares and could fire a variety of different cartridges to suit these different roles. 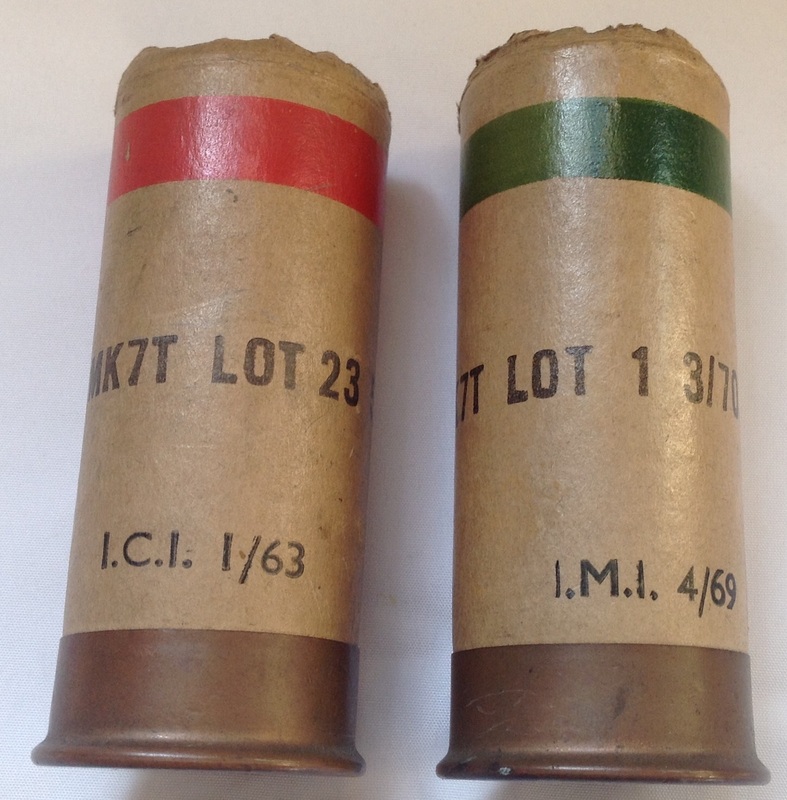 British and commonwealth flare pistols came in either 1” or 1.5” calibres, the pistol we looked at last year fired the former, whilst these two cartridges are for a 1.5” flare pistol: As can be seen the cartridges consist of a heavy card body, with a brass base. 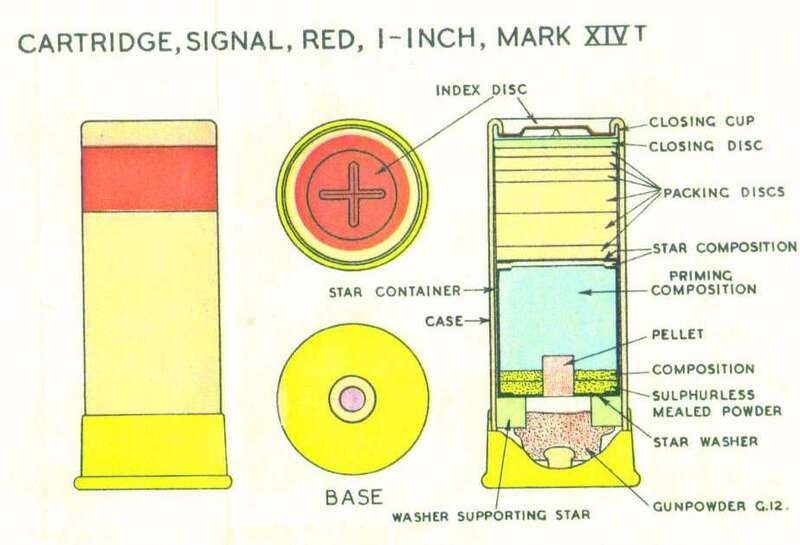 There is a coloured band around the body of each indicating the colour of the flare, red and green in this case. 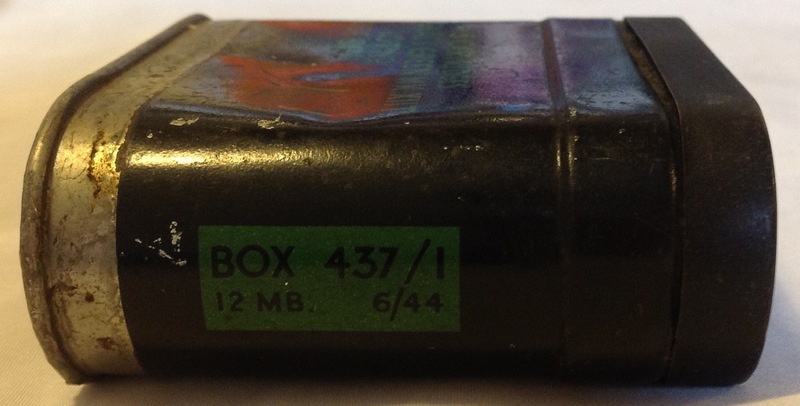 The other markings indicate the type of cartridge, Mk 7T, the lot number of the cartridges and at the bottom the manufacturer’s name and dates of manufacture. As can be seen these two date from the 1960s and were manufactured by ICI (Imperial Chemical Industries) and IMI (Imperial Metal Industries), both divisions of the same company in the 1960s. 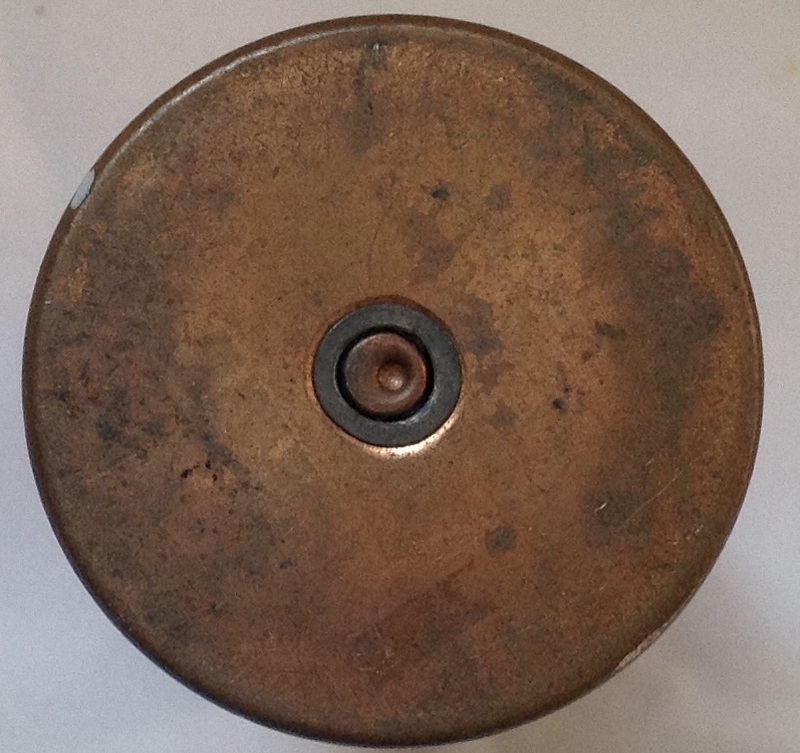 The base of the cartridge has a central percussion cap (fired in these examples): Although now empty, the cartridge would originally have contained layers of chemicals to project the flare, ignite it and make it burn as required: These days flare pistols have largely been superseded in the UK by self contained flares that are used once and then discarded. In the civilian setting this is mainly due to the strict firearms laws in the country that make it legally much easier to issue once only flares than a gun that can fire cartridges. 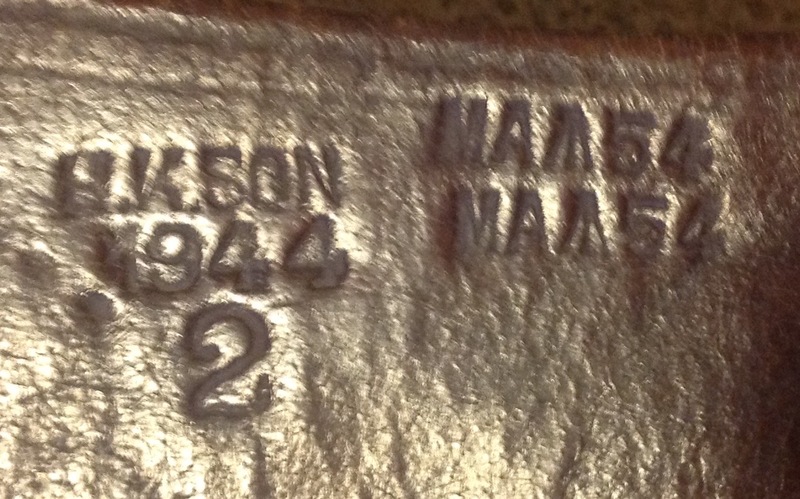 This entry was posted in equipment, Flare Pistol, Post WW2 on April 15, 2015 by hatchfive. Battlefields at night are dark and confusing places and often some form of artificial illumination is needed. 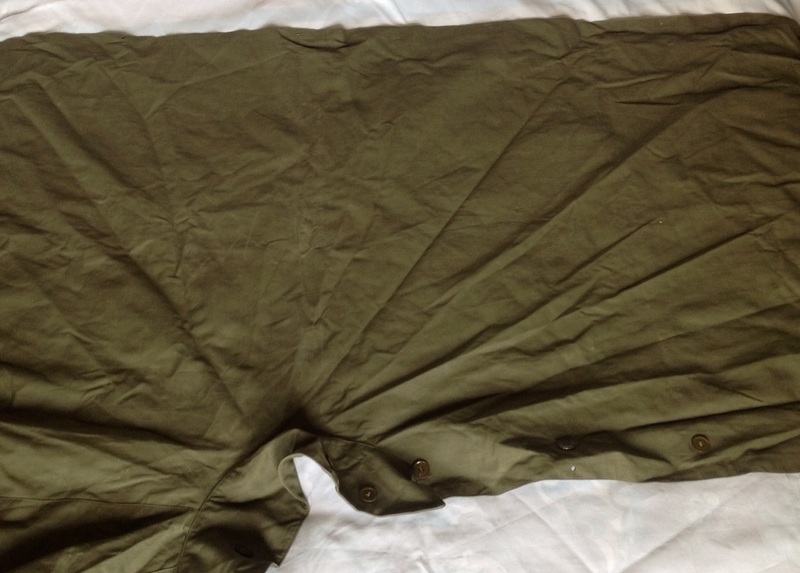 Tonight’s item is a 38mm L5A4 parachute flare from the early 1980s. To fire the operator removes the pin and presses the trigger upwards, setting off the flare instantaneously. 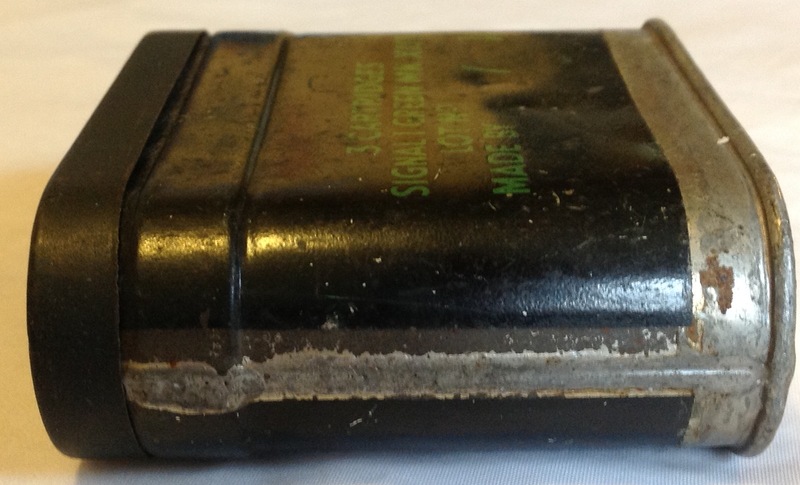 This example is dated April 1983 and was made by A Schermuly of Salisbury, Wiltshire: Once fired the user would discard the empty tube. 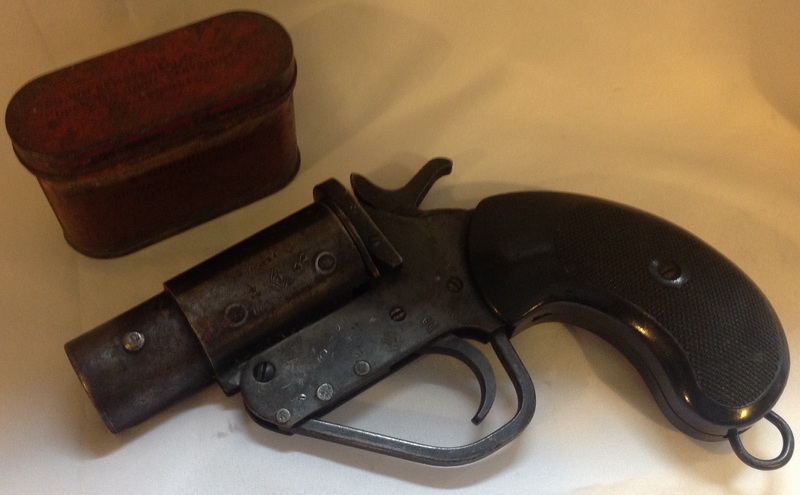 This kind of one shot device replaced the traditional flare pistol for signalling and illumination and is still in use today. 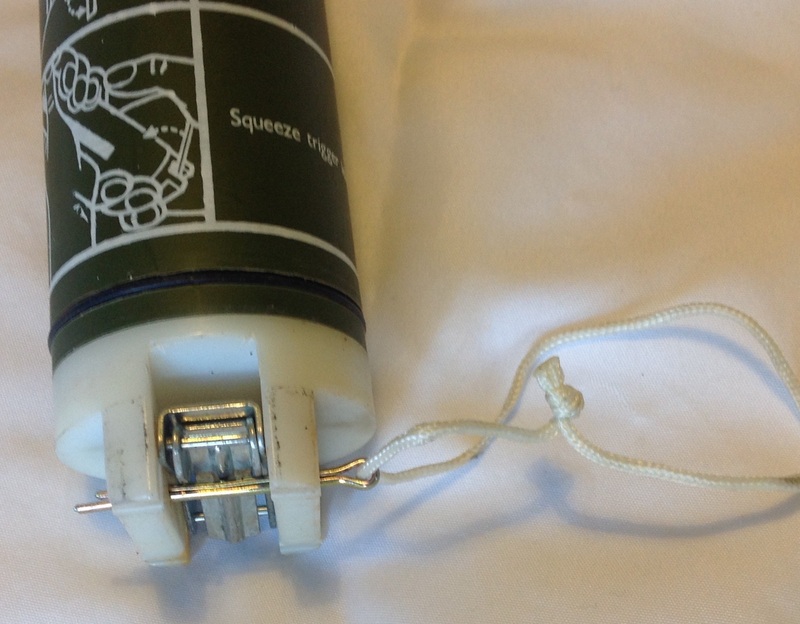 It is cheap and disposable and once fire the user is not having to carry round a heavy flare gun. 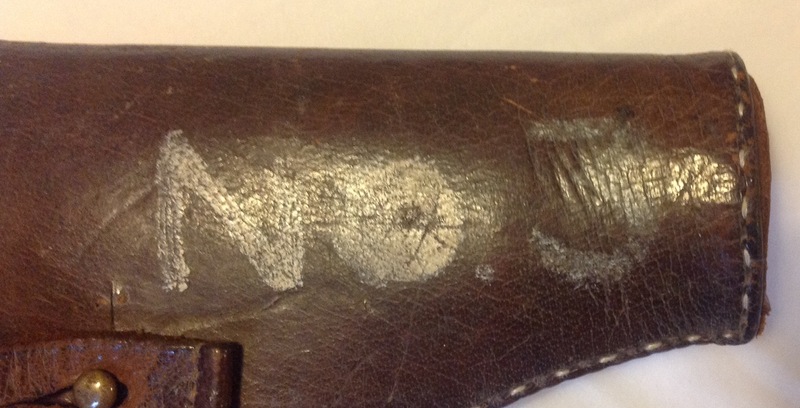 This entry was posted in British Army, equipment, Flare Pistol, Post WW2 on December 20, 2014 by hatchfive.